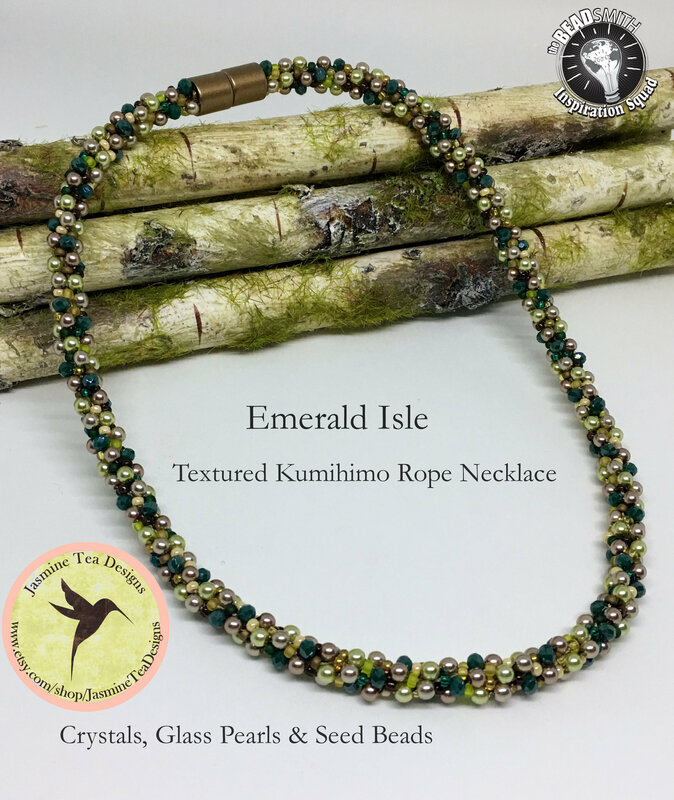 Deep emerald crystal rondelles with champagne, cocoa and latte glass pearls give this kumihimo rope necklace great texture and color. Miyuki's earth blend seed beads bring everything together. A matte bronze magnetic clasp is featured for ease of wearing. 'Emeral Isle' measures 20.5 inches. Hand crafted by Diana Miglionico-Shiraishi for Jasmine Tea Designs.